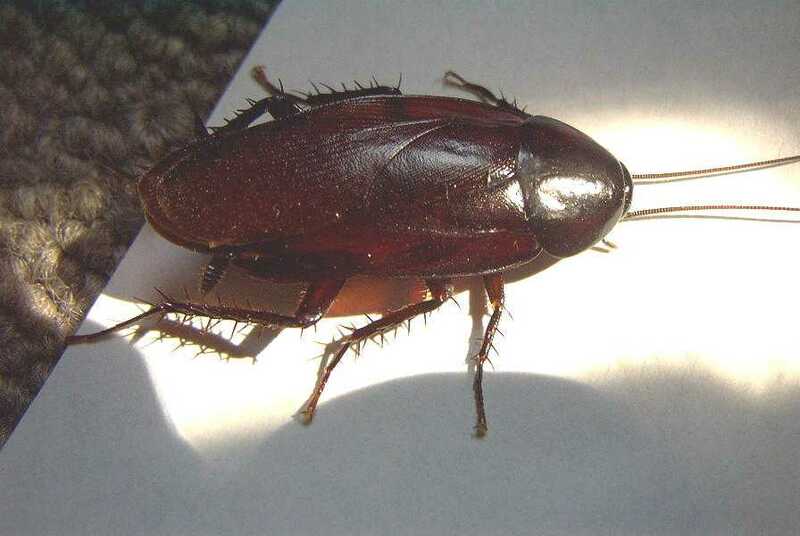 The smoky brown cockroach can be 1 to 1-1/2 inch long. It perfers vegetated areas more than open areas and is not as agressive and the American cockroach. It is a dark brown or mahoney color. More about the smokybrown cockroach.